We’re committed to removing the friction from shipping for our customers. This month, we launched a bunch of exciting new features and updates, and we look forward to continuing to focus on developing solutions that help our customers ship hassle-free. Here’s a recap of the key features launched earlier this month, plus a few new updates to share. A new workflow to significantly reduce the time it takes to create and buy a label to 10 seconds. New web app navigation to make accessing all the new features easier. 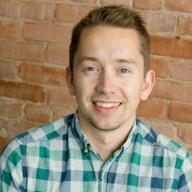 Shipping analytics to answer basic questions about your label and shipping spend history. Shippo’s default packing slips were updated to improve the experience. Shippo’s default shipment confirmation emails got a facelift to include a Shippo-designed tracking page, providing a consistent experience no matter what carrier you choose. You can automatically send this email to customers to streamline the process. In your Settings page, turn “Auto Email Notification” ON and Shippo will automatically send the order confirmation email to the package recipient whenever a label is purchased — no more extra clicks required! We recommend only using one automatic method to send notifications to your customers to prevent sending multiple emails. We also introduced more functionality for our Professional and Premier customers. Customized shipment confirmation emails, packing slips, and tracking pages let you add your logo, personalized text, and more branding elements to enhance the customer experience. You can activate these features right from the Settings page in your web app. 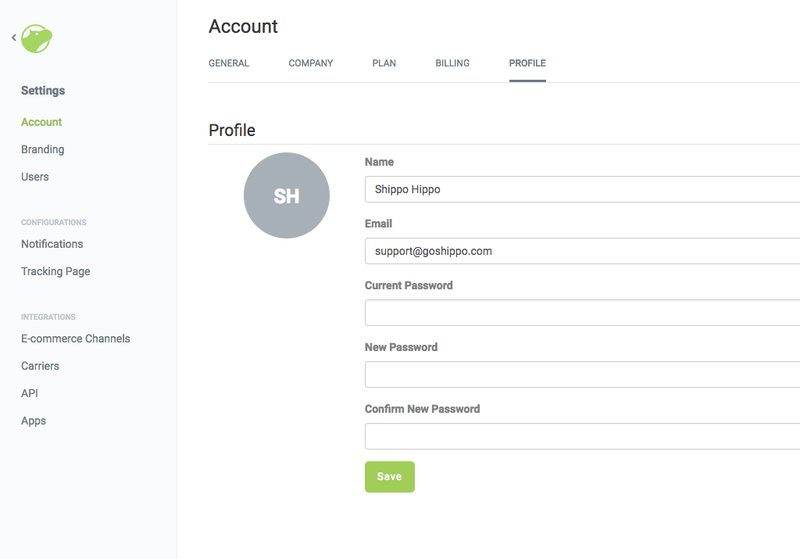 Multi-user accounts provide team members individual login information to access the same Shippo account, creating a more frictionless shipping experience. Now, all of our UPS customers can submit commercial invoices to UPS electronically. This feature is available to all Shippo users automatically as long as their UPS account is enabled for it. Go to www.ups.com. Click on My Profile in the upper right and select Payment Options. Enter your UPS.com User ID & Password to Log In. Click Edit under the Actions column for the Account Number you wish to enroll. Click on the Paperless Invoicing heading to expand it. Click on Enroll My Account. In Step 1, check Upload my own forms. The other options are for Paperless Invoice. Scroll down to the bottom and accept the letter of agreement by checking the option under Step 6. Please note that these steps assume that the account may not be currently enrolled in Paperless Invoice. If you are unable to make those account edits online, the account owner will need to contact your UPS Account Representative for assistance. We also support Paperless Trade for FedEx and DHL Express. For more information, visit our help page. Now, all licensed customers are able to ship alcohol with UPS. All wine shipments will automatically require an adult signature confirmation upon delivery. All packages containing wine must be labeled by the shipper with a special alcoholic beverages shipping label in addition to any other labeling that may be required by the origin or destination state. All wine shippers must have a license to ship alcohol according to federal and state laws. All wine shippers must enter into either the UPS Agreement for Approved Wine Shippers, or the UPS Wine Industry Fulfillment House Agreement For Approved Wine Shippers. In order to indicate that a package contains alcohol you need to set the boolean field “contains_alcohol” to “true” when creating a shipment. You may have noticed that there’s an image that appears on your profile page in your Shippo web app. That’s because we’re now using Gravatar, which is an image that follows you from site to site, appearing beside your name when you do things like comment or post on a blog. 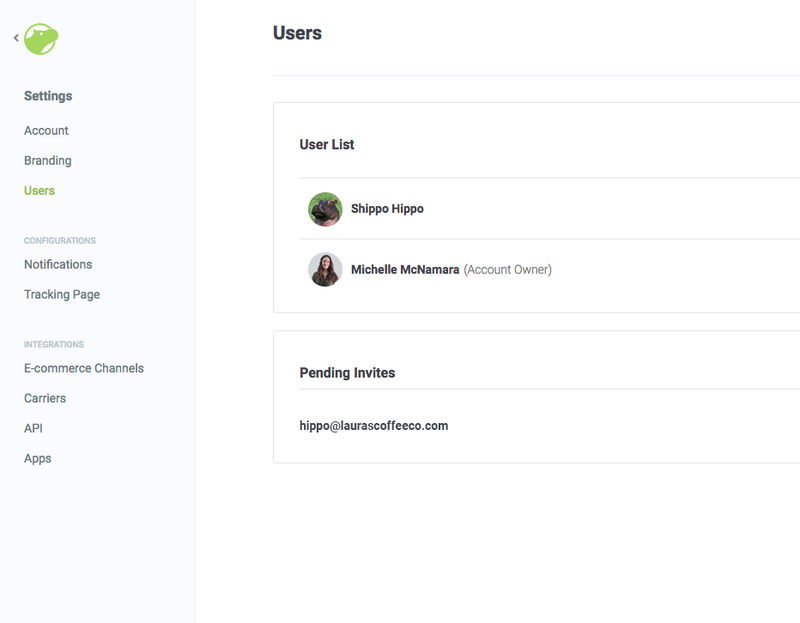 The only place the image appears on the Shippo web app is in your users list in the user tab and the profile page of your account tab—it is not included in any consumer-facing communications. It’s useful for our Professional and Premier plan holders that have multiple users, since it helps to quickly differentiate between accounts. If you’d like to change your Gravatar, you’ll need to login to Gravatar using the same email address you used for your Shippo account and then change the image on that website. If you do not select an image, it will default to the user’s initials. See Ya at IRCE Next Week! We’re headed to IRCE next week (June 5-8, 2018)! If you’re going to the show and want to chat all things shipping, our experts would love to meet up. 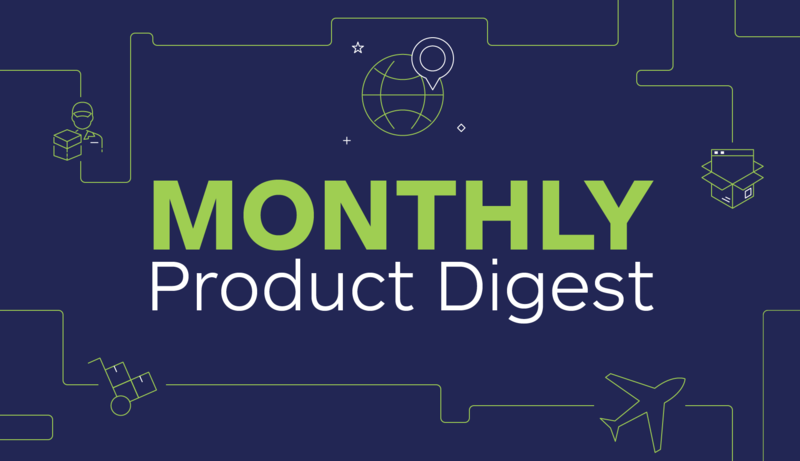 If you’d like to see product digests from previous months, check out our roundup from April and March.